I wish I didn’t have to start my post like this, but there is no other way: About 57 transgender people were killed in Brazil in the first 26 days of 2016. These people weren’t victims of armed robbery or stray bullets — which are, unfortunately, commonplace causes of dead in Brazil. They were victims of sheer hatred. They were killed merely for living their lives the way they choose. It is worth pointing out that this figure is an estimate made by the Transgrupo Marcela Prado, an NGO focused on defending the rights of transgender people Curitiba, the capital of the Brazilian state of Paraná. The NGO reached this figure by counting the number of murders reported in the media, but the actual number of people killed is probably much higher, since many cases are not reported. In Brazil, there is no way to find out the exact number of crimes committed against the LGBT population. Acts of violence against the LGBT community are not criminalized. Moreover, our police force is extremely ill-equipped to deal with such cases. They are also ill-prepared to help women who fall victim to sexual harassment and the black population that suffers from racism. The NGO Transgender Europe has the most accurate number of deaths of transgender people in Brazil, and they are quite alarming. According to their “Trans Murder Monitoring Map“, there have been 546 murders between 2011 and 2015. This figure makes Brazil the most violent country for transgender people, distantly followed by Mexico, where 190 murders were reported in the same period. Despite the fact that these figures do not give a complete picture, one can clearly see the indifference of the Brazilian government (in the federal, state and local spheres) towards the LGBT population, and particularly transgender people, who are the most vulnerable and the primary victims of prejudice. The fact that there is no official statistical data about this population shows the widespread neglect of our community. 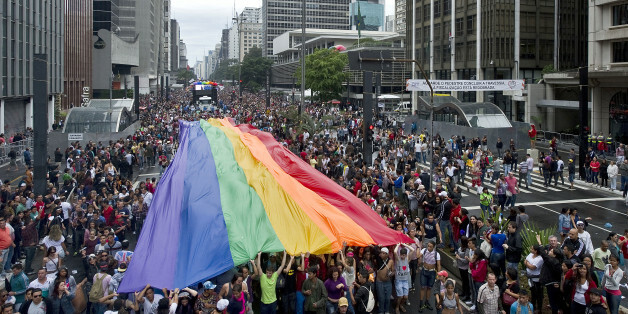 In the absence of public policies that help to monitor the degree of neglect to which the LGBT population is subject, independent initiatives are becoming increasingly more necessary and urgent, such as the LGBTphobia mapping in Brazil, developed by HuffPost Brazil and the Abril Journalism Course. The monitoring and mapping of the kind of violence to which we are subject and the places where these acts take place most frequently are important in order to create pressure for public policies to reduce prejudice, stigma and violence against the LGBT population. Unfortunately, such initiatives are useless if the government and politicians in general don’t provide the basic rights for gays, lesbians, bisexuals and transgender people. While the country is focused on the political crisis, conservative congressmen are quietly trying to pass some clearly unconstitutional bills, such as the Family Statute and the PEC 99/2001, which enable religious entities to propose constitutionality actions before the Supreme Court. This means that the concept of a secular state and the minimum rights owed to minorities are at risk of going down the drain. In view of such neglect and indifference that cause so much violence and invisibility, I ask myself: How many more of us will have to die?